When the guys at RobTop released the first Geometry Dash game for Android and iPhone we don't know if they expected the huge success achieved thanks to their platform game. 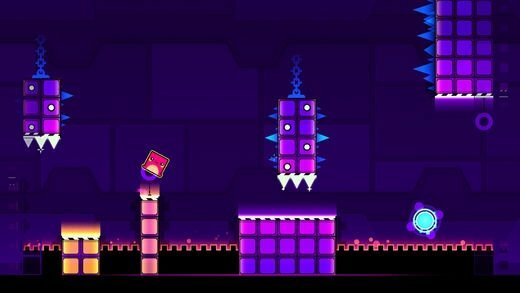 Whether they knew what was going to happen or not, here comes a new installment of the saga called Geometry Dash SubZero. And what will we find here? 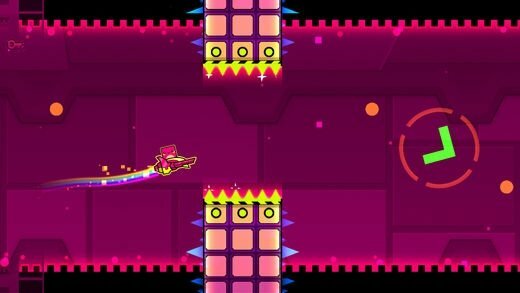 Well, basically the same as usual: speed, obstacles, a geometrical shaped main character that we can customize, and catchy music to accompany the game's frenetic action. 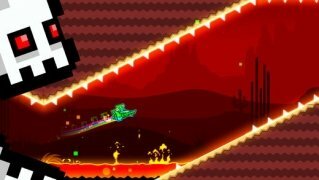 One of the best platform games that you can download for iPhone or iPad. It comes along with new scenarios and levels that we can enjoy in its full version as it doesn't include any in-app purchases. Therefore, to unlock any additional or extra content that may be available, you only have to put in your effort... do you think you can surpass all the difficulties without using any hacks or cheats? If you've ever played the previous Geometry Dash 2.0, 2.11 or its lite versions, you won't be surprised by the different functions and features available in SubZero, as they're similar to those offered in other games of this collection. 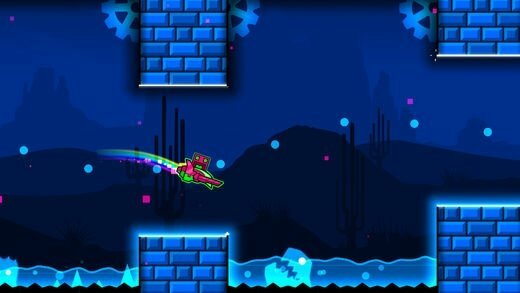 Platform game that follows the rhythm of the music. 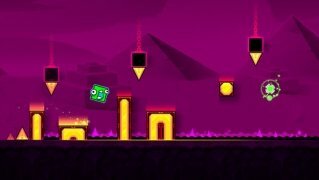 Three unique levels to be completed. Original music written by MDK, Bossfight, and Boom Kitty especially for the game. Unlock unique characters in this SubZero version. Improve your skills and abilities in the practice mode. Share your scores online and challenge your friends. This new installment, the name of which may remind you of the classic Mortal Kombat fighter, is only available for Android and iOS mobile devices. Therefore, to be able to play on your Mac or Windows PC, you'll have to download the APK file and run it with Nox App Player, BlueStacks or any other similar emulator.